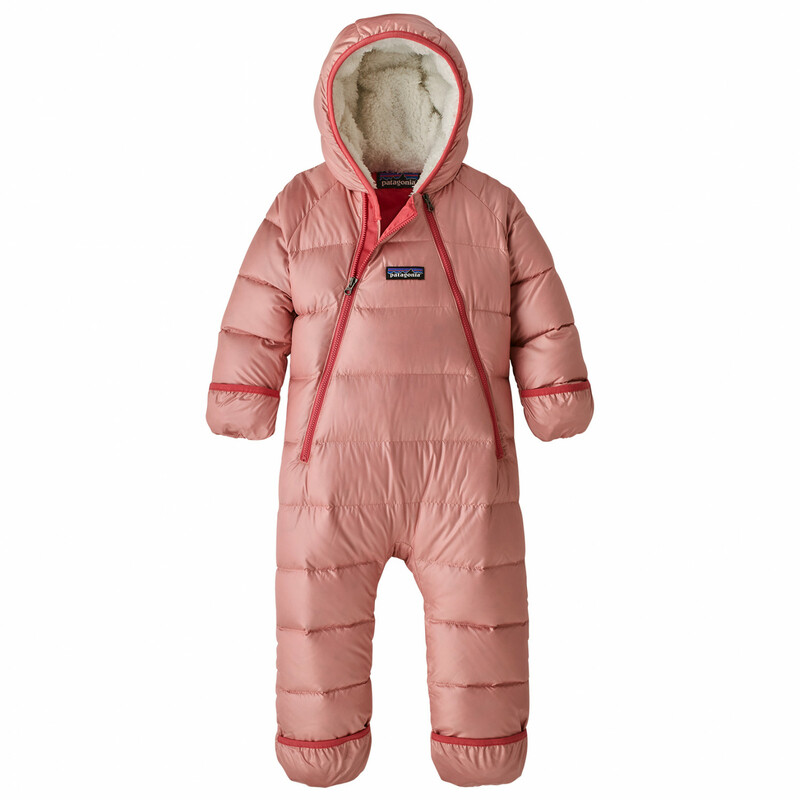 Main material: 100% polyester (bluesign-certified), DWR treatment; Inserts: 100% polyester (30% recycled, bluesign-certified)"
Duck down, 600 cuin (contains non-textile parts of animal origin; Traceable Down)"
Insulated with super-warm down insulation, the Patagonia Infant Hi-Loft Down Sweater Bunting is guaranteed to keep your child toasty warm. The great thing about the high-quality duck down is that it was chosen according to strict ethical guidelines. 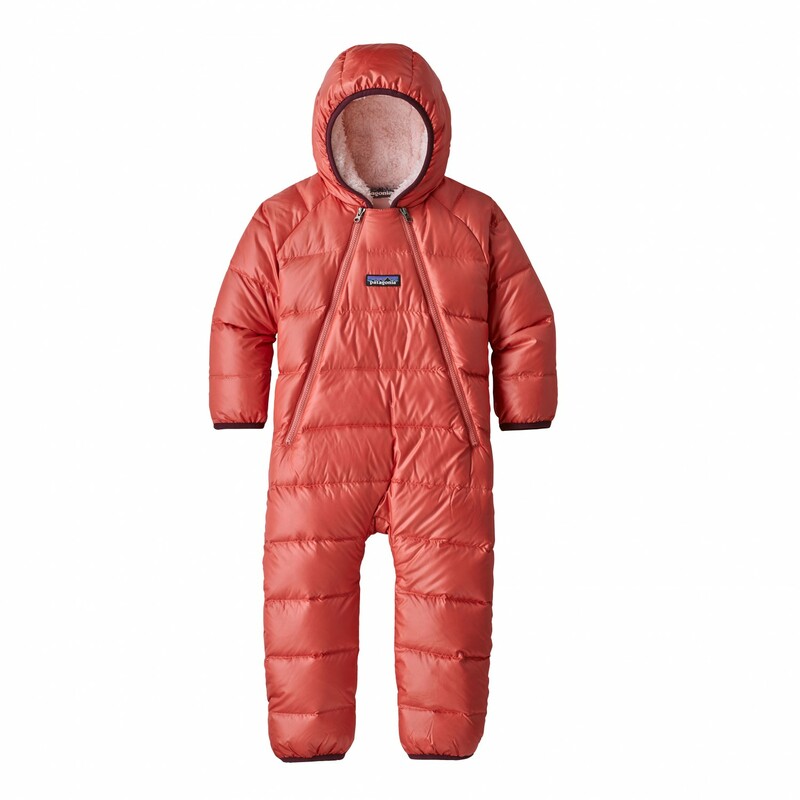 For the interior, Patagonia opted for a soft polyester fleece that feels great against the skin. As for the outer, it's lightweight, windproof and tear-resistant all at the same time. The bunting has been designed in such a way as to allow for as much freedom of movement as possible, regardless of whether the child is crawling, standing or sitting. 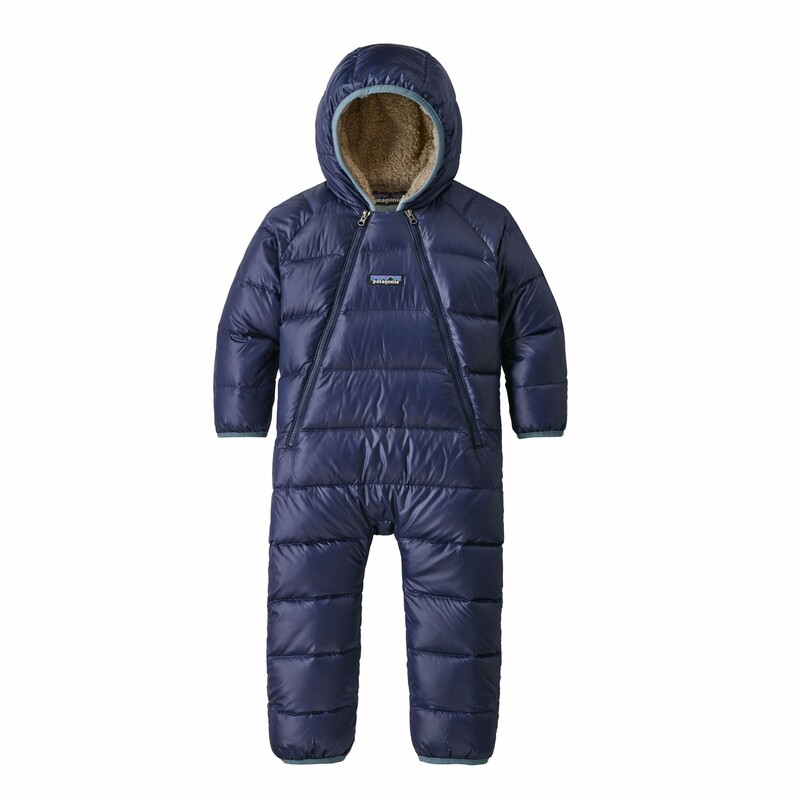 The Patagonia Infant Hi-Loft Down Sweater Bunting Overall is an excellent choice for super-cold weather.